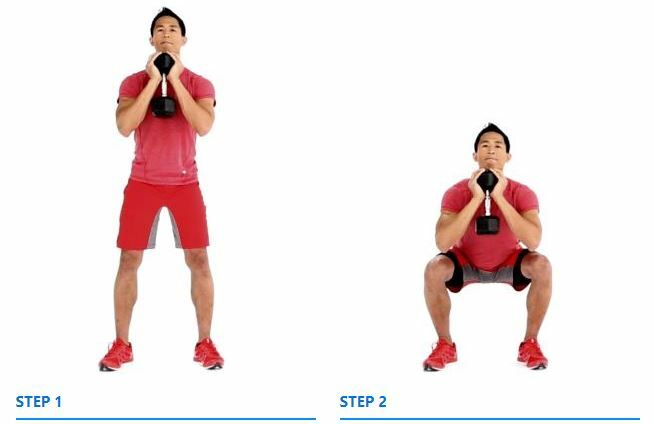 Standing tall with your feet shoulder-width apart, grab the head of a dumbbell with both hands and hold it vertically in front of your chest. Keeping your back straight, squat down until the crease of your hip drops below the knee and the tops of your thighs are at least parallel to the floor. Extend your hips and knees to return to the starting position.